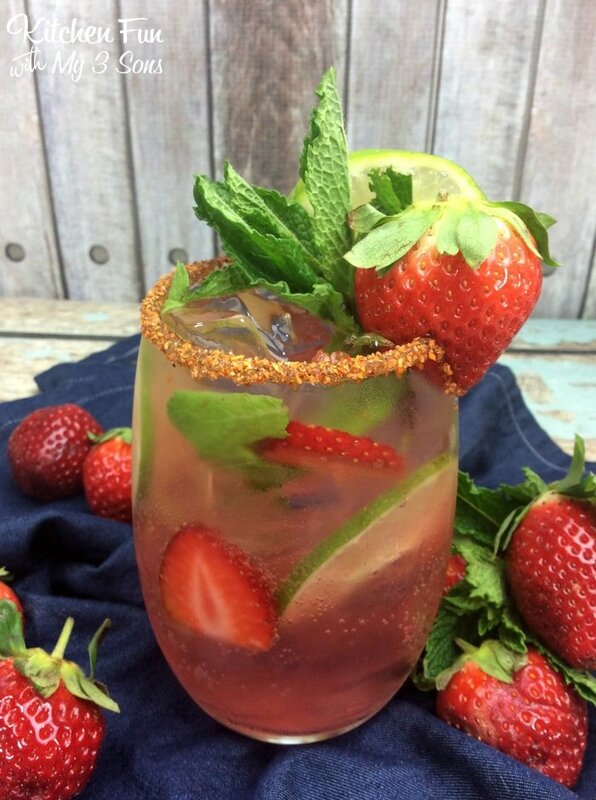 I love making a Mexican mojito on a hot summer day! 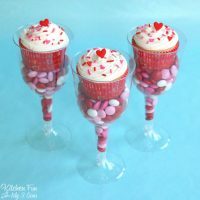 It’s one of my favorite adult beverages. This is a pretty quick and easy cocktail to make, just get all the ingredients together and shake it up. 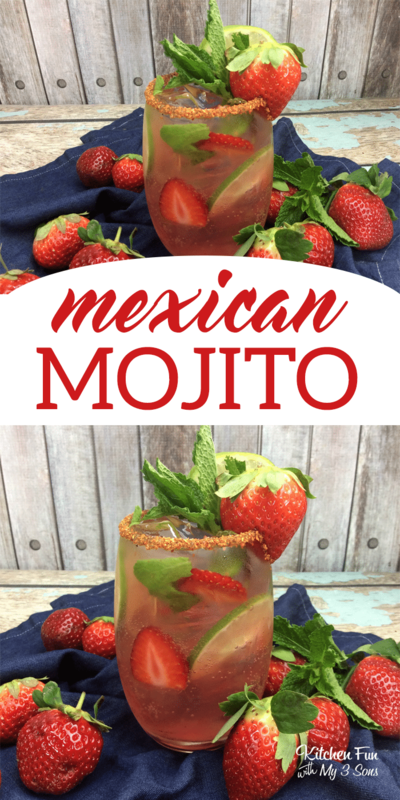 If you like mojitos, you will love this Mexican strawberry version. 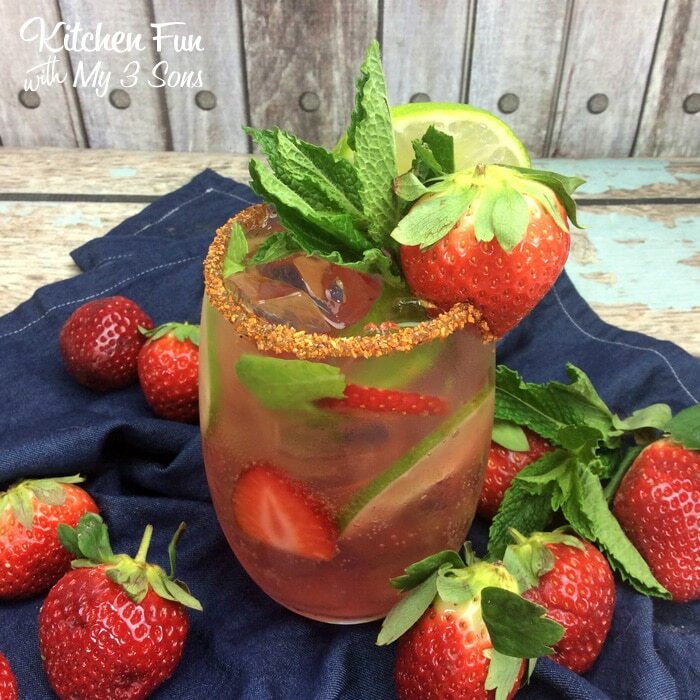 Using a rocks glass, muddle the strawberry, simple syrup and mint together.